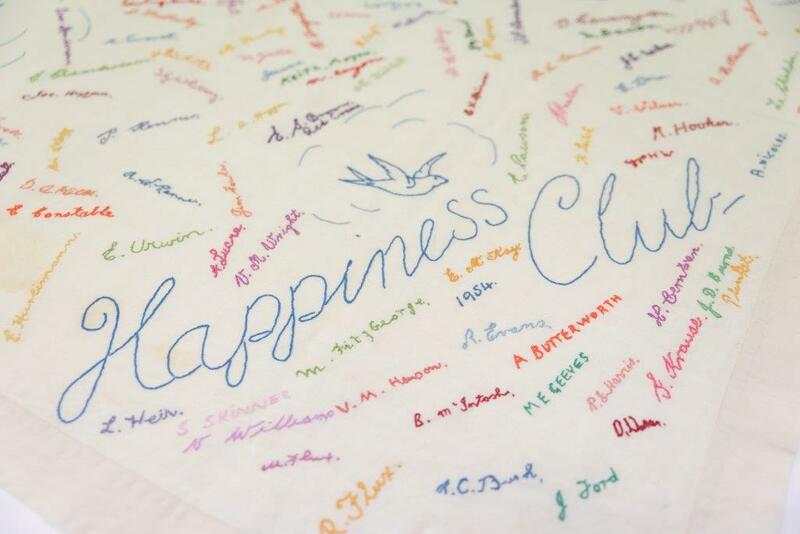 Do You Remember the Happiness Club? Petone Settlers Museum Community Curator, Jen Boland, has created an accessible programme of events that caters for both the general public and niche groups. Jen’s new events and activity programme is being promoted under the moniker of The Happiness Club. The name comes from the original ‘Petone Happiness Club’, which ran from 1950-54, affiliated with the Radio Station 2ZB. The museum received a donation of a white table cloth embroidered with four bluebirds, 100-odd signatures and two pins pertaining to the club. “Everything about it was just so delightful, the name in particular suggesting people coming together and being happy. We just had to reignite it,” she says. The new Happiness Club will also be about bringing people together and having fun. “Petone Settlers Museum is a place that holds memories. We want it to also create memories and friendships through a community-focused and eclectic public programme,” says Jen. Coming up, there’s a Christmas market, Christmas carols with Wilford School, still-life drawing classes, storytelling and a ‘Sea Shanties Sing-a-long’.